Ever dreamed of being able to play your favourite melody? If you put in some good practising, in time you will build this wonderful skill. 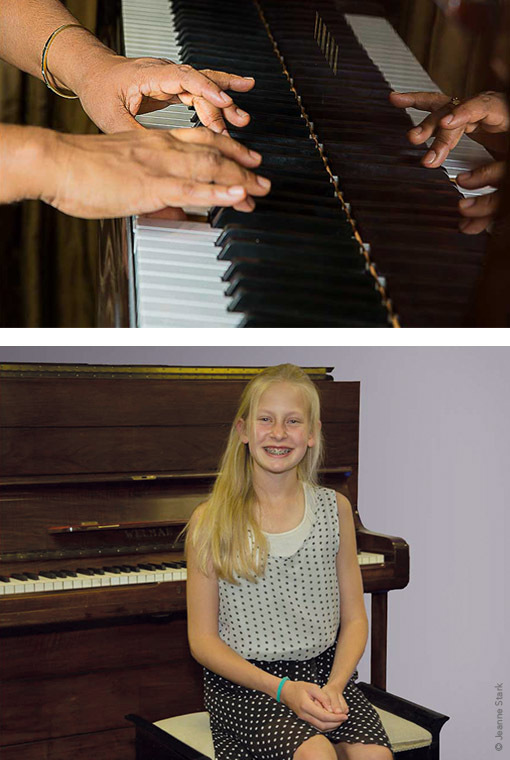 Adults of all ages, teens and kids are welcome at piano lessons. In your lessons, we will discuss your goals and interests and together, we will select a learning programme that is most suitable for you. Learn the finest piano music, learn to read music notation, music theory, aural (listening skills), and hand and finger technique. Learn the latest pop and rock songs, learn to play by ear, learn chords and improvisation. Students learn pop and rock music, while using the various functions on the keyboard to maximum effect. Let me introduce your younger child to the piano in a safe and supportive environment, while having lots of fun! Students may work towards the Trinity College London music exams or the Eisteddfod, after being assessed for readiness. Abrsm and Unisa exams are also available.